Retired airline pilot Bill Hussar with his recreated 1930-40's CHP vehicle. 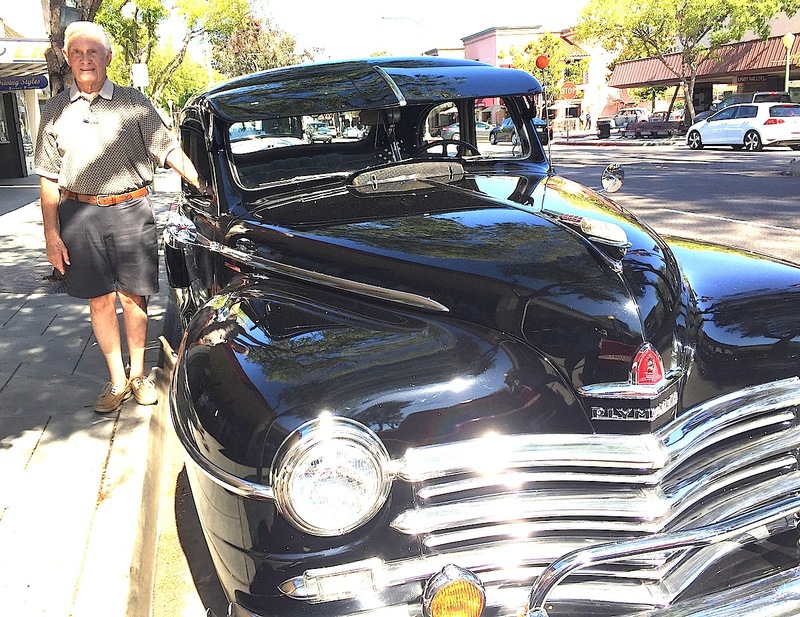 Escondido’s Cruisin’ Grand car show never truly ends. Like the day after Christmas or Mardi Gras for some, planning immediately began for Cruisin’ Grand 2016 after the 2015 version ended on Oct. 2. That 2016 event, the 17th incarnation of the annual rite of spring and summer, begins anew Friday, April 1. Swaying with the rhythms of spring and summer, almost in sync with the Major League Baseball season, the big show of vintage vehicles and fellow travelers begins the first Friday in April. As many as 500 vintage vehicles line block after block of Escondido’s main drag during each show. For each week thereafter, thousands, of people check out the fabulous cars, venues, music and food that turns Grand Avenue into a grand spectacle of all vehicles olden and/or fast. Best of all, it’s free. Opening day is expected to draw as many as 5,000 fans. Pre-1974 vehicles will be featured with five selected cars receiving event awards. The event runs from 5 p.m. to 9 p.m. on seven blocks of Grand Avenue between Orange and Ivy streets. If opening day doesn’t suffice, a Wine & Craft Beer Tasting at Cruisin’ Grand is scheduled for April 8 at Maple Street Plaza. Admission is $20 with proceeds benefitting the Escondido Arts Partnership. For more information visit http://cruisingrand.com. 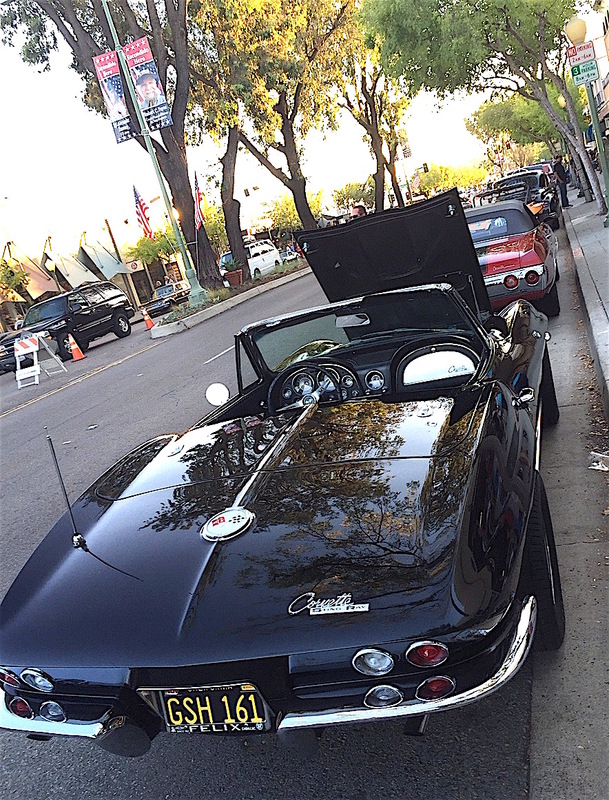 Corvette spring starts up anew. Vintage car and car show aficionados come from near and far, sometimes very far. Many times they go from show to show depending on date and inclination. Many times, they choose a show and a spot and never deviated from form. Retired airline pilot Bill Hussar and buddies always stakes out a spot by Georgia’s School of Dance, so serious is the Escondido resident, he reserves the spot around 2 p.m., some 3 1/2 hours before the show officially begins. Hussar had a finely restored California Highway Patrol car. 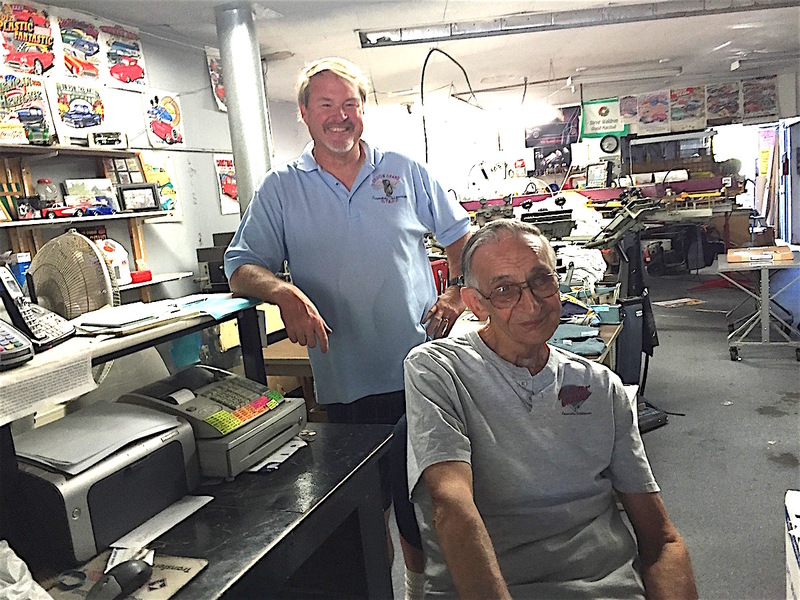 He was hanging out with Valley Center’s Harvey Williamson, himself the owner of a vintage Plymouth sedan. Retired, the men said most of the car enthusiasts were older folk with their childhood-era cars. However, more than a few younger people also were there for the show. Steve Waldron, Cruisn’ Grand founder, standing, and Bill Lane at Top End Tee’s. With car people, business people and city people all on the same page, Cruisin” Grand will resume en Fuego come April. Waldron said organizers tried to add new features every year and next year would be no exception. However, he smiled and declined comment when asked what those new featured might be, so no spoiler alerts this time unless they’re intended for rear car spoilers. Harvey Williamson brings his 1940s Plymouth to the Cruisn’ Grand event. Be the first to comment on "Cruisin’ Grand car show returns for 2016"